As you can tell, over the past few months I've really enjoyed the Nerd Block experience. I've received a variety of fun and sometimes absolutely silly merchandise and eagerly await my new one each month. To stave off that wait, I decided to subscribe to a second box and the Comic Block seemed like a perfect choice. Last month, the comic block changed its format. It used to be only filled with comics and graphic novels (and of course a t-shirt), but now they've changed to a more standard block. 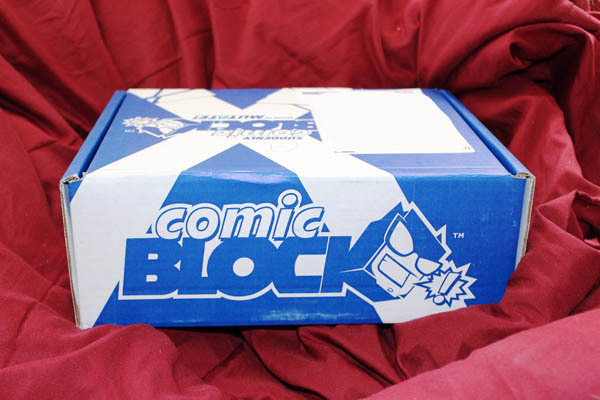 Like the rest of the Nerd Block collection, the Comic Block now comes with 4-6 pieces of merchandise and a t-shirt for $19.99 (plus shipping and exchange). I have to say, I'm really happy with what this box has in store. I'm even thinking of making this my default Block. Last month's block heavily featured Batman V Superman so now it's Marvel's time to shine. 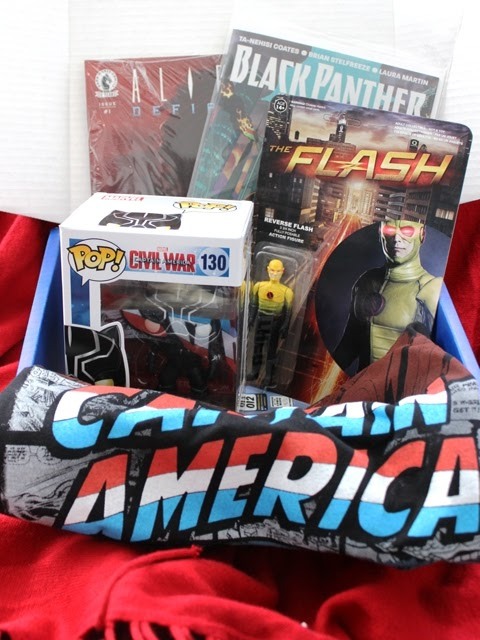 This box contains four items and a t-shirt and although it feels a little thin, I like what Comic Block has to offer. Let's start with the comics. I was a little disappointed by the March Comic Block comics. We got two DC Essential reprints (valued at a dollar each) and Superman #50. 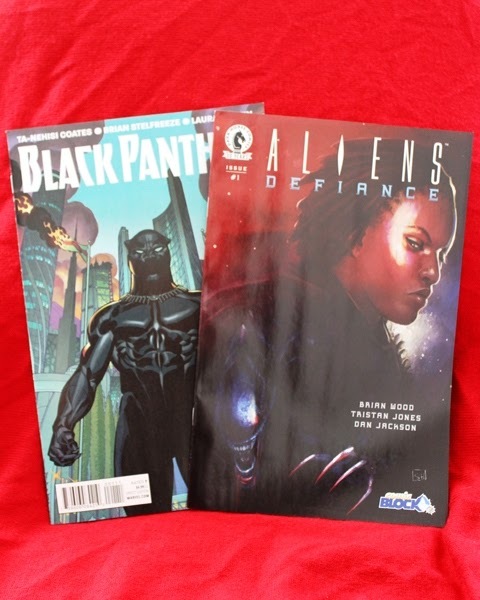 This month we only got 2 comics, Black Panther #1 and Aliens Defiance #1, but I'm excited to read both. I don't know all that much about Black Panther and a #1 is usually a good place to jump on. The Aliens cover is a Nerd Block exclusive. It isn't something that I've never read but I like Brian Wood and am intrigued by the artwork. I'm so behind in my comic reading that it's nice to have something random show up in my mailbox. 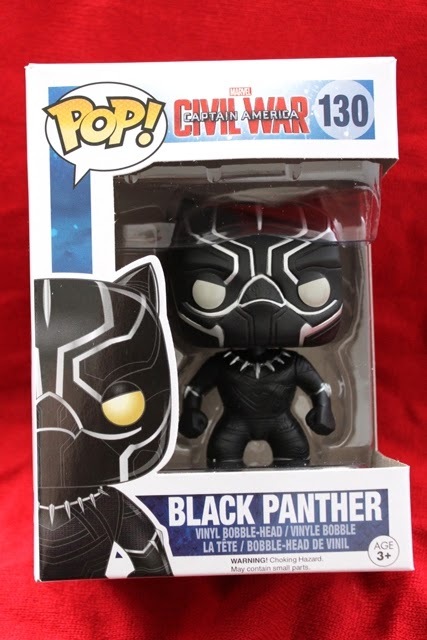 I am really excited about having Black Panther. Probably because I almost bought him outright yesterday. I had him in my hands. I was walking towards the register. For some reason I put him back. Lucky for me, he's mine now! 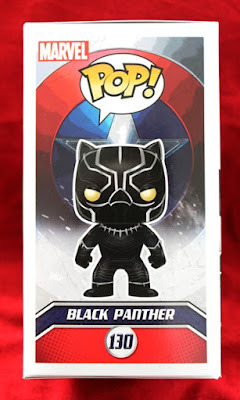 The rest of this line is quite cute too, but between Cap, Iron Man, and Bucky, I'm really happy with Black Panther. I have figures of each of the others and their new sculpts aren't different or interesting enough for me to break my no doubles rule. Black Widow is the exception. 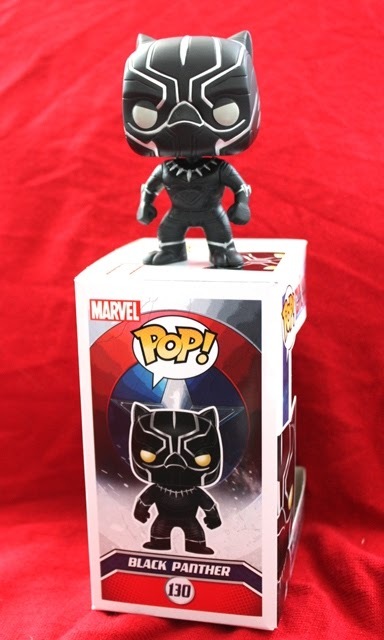 Her original Pop is pretty bland and I'm sure in a moment of weakness I will end up with a second one. 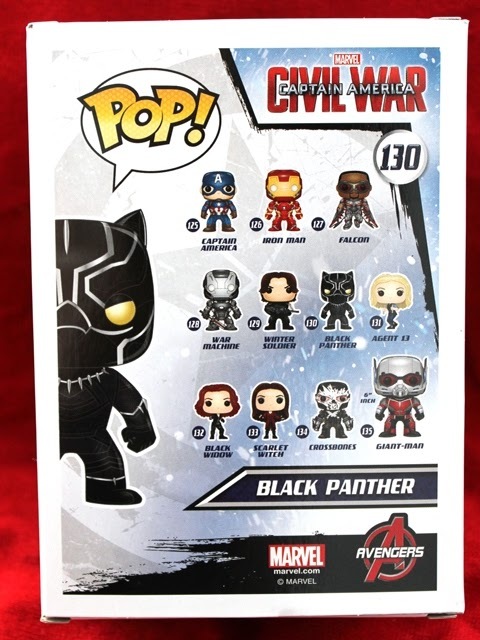 I'll probably pick up Crossbones, Scarlet Witch, and Agent 13 at some point but they're not a priority. I REALLY want Falcon but he's an exclusive and I haven't been able to find him. The search continues. The second toy is a Revere Flash Re-action figure. Is it just me or does anyone else think the Re-action line is a little bit silly? 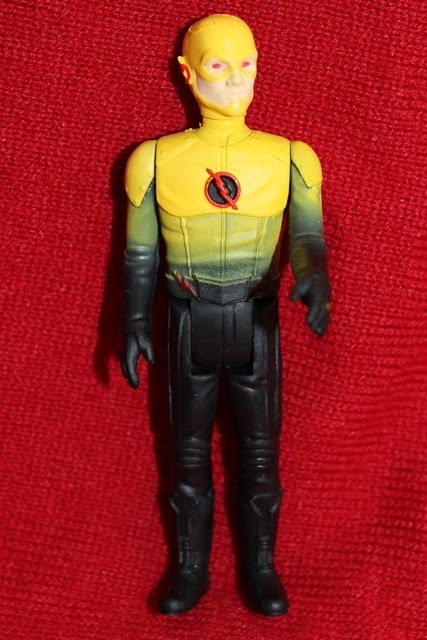 The nostalgic scale is kind of fun, but the toys themselves are so weird looking that they just make me sigh. That being said, I know I'll end up with a bunch of the inevitable Game of Thrones ones because I have no choice. 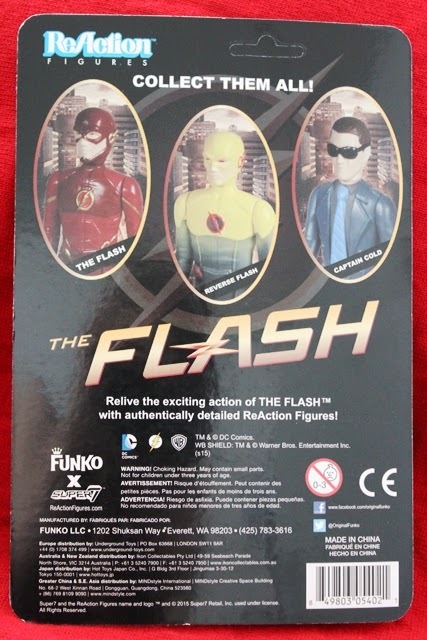 Still, the box art here is awesome and it makes me wish I actually watched the Flash. 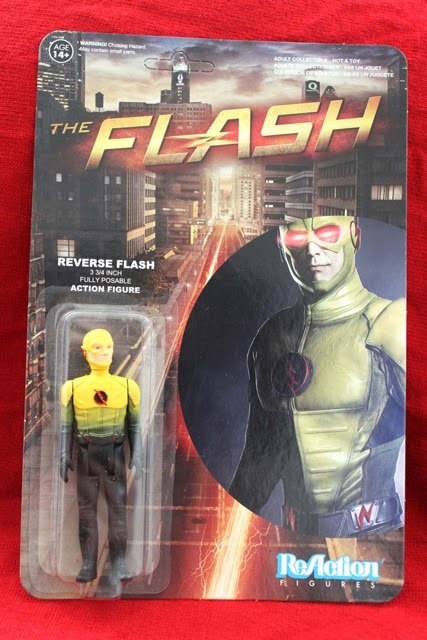 Yep, pretty silly, but I have many many friends who swear by this show and would happily add him to their collections. A perfect re-gift! 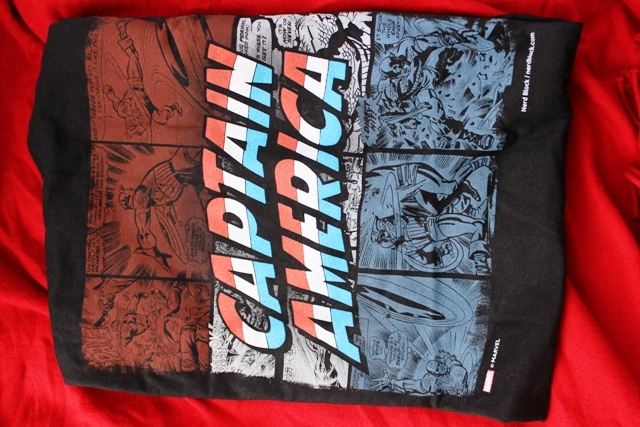 An Exclusive t-shirt finishes off the box, and as I say every month, this t-shirt might be my favourite item. Is it obvious I'm team Cap yet? This shirt is bright, colourful, and has an awesome design. The iconic Captain America logo is plastered across some retro red, white, and blue comic book panels. We get to see his shield in action. Each panel is dynamic and to continue with the retro feel, the image fades at the edges as if it was newsprint. I love it. There isn't much more to say. The shirt, again, is why I'm here. Next month promises Funko items from the Avengers and Batman, and 3 exclusives (including n X-traordinary item from X-men). Since X-men movie-verse merchandise is nearly nonexistent, I'm keeping my fingers crossed for an x-men themed shirt! Have you tried Comic Block? Let me know your thoughts in the comments! !